The epic Shelby GT500 might be gone, but a historic Ford badass just made it&apos;s triumphant return. The Shelby GT350 is back, kids, and it looks and sounds like your faithful steed feasted on the Incredible Hulk. 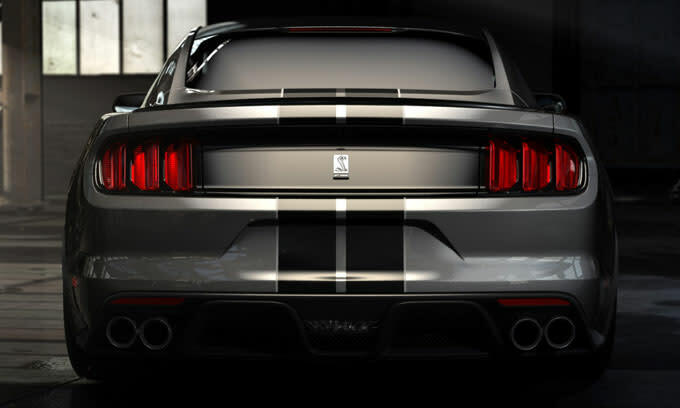 At the heart of this new Shelby is a 500-plus-horsepower, 400-lb-ft, flat-plane-crank, 5.2L V8. 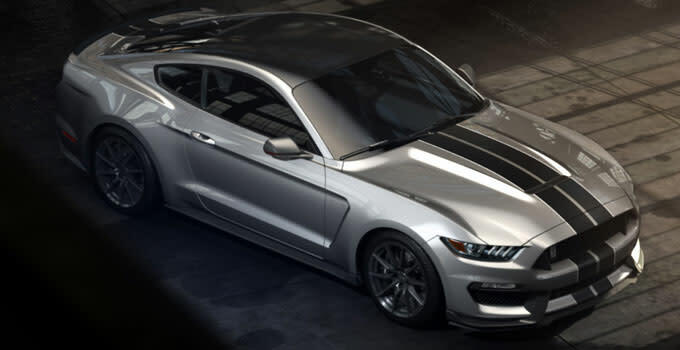 It&apos;s the most powerful naturally-aspirated production engine Ford has ever created, and its tuned high-revving torque is designed specifically for the track. In fact, pretty much everything was changed to make this thing hug blacktop. According to Ford, all of the front bodywork is unique to this model. It has a lowered hood, it&apos;s wider, the suspension is stiffer, the Brembo brakes are bigger, it sits two inches lower, it has MagneRide dampers, and things like a carbon fiber composite front grille and rear diffuser help aerodynamics. 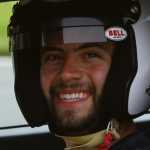 "The new 5.2-liter engine is the first-ever production V8 from Ford with a flat-plane crankshaft, an architecture typically found only in racing applications or exotic European sports cars. Unlike a traditional V8, where the connecting rods are attached to the crankshaft at 90-degree intervals, this design evenly spaces all crank pins at 180-degree intervals. "The 180-degree, flat-plane layout permits a cylinder firing order that alternates between cylinder banks, reducing the overlap of exhaust pressure pulses. When combined with cylinder-head and valvetrain advancements, this permits better cylinder breathing, further extending the performance envelope of the V8." Cross-plane cranks also require counterweights/bigger crankshafts, so they&apos;re often bigger and heavier, which is never good for track-focused cars. Add that knowledge to the set up of a six-speed manual gearbox and a Torsen limited-slip differential, and it&apos;s no question this car is going to be an absolute blast. Skip the executives telling you how amazing of a car this is and listen to the new engine in the video below.